75130 is rated 4.7 out of 5 by 17. Rated 1 out of 5 by cjm from Misleading Image All of my previous orders were of the same finish and I looked at the image presented on the web site and thought it was the same as my others orders. When my contractor opened the package he noted that it was NOT the same finish of my other components. It was supposed to be 'brushed' but instead it was 'shiny' or 'brilliant'. Since he had opened the package, I was stuck with something I can't use. It's in my office now while I attempt to decide how to dispose of it in the least losing manner. Rated 5 out of 5 by Dewzee1 from Delta towel bar - excellent quality Delta Dryden towel bar was easy to mount and the finish matches the Dryden Faucet- love it! Rated 5 out of 5 by Anon from What we needed Wife and I just remodeled our master bath and decided to go with this Delta Dryden 30" towel bar. The bar was easy to install, looks great on the wall, and holds up to two regular towels. Rated 5 out of 5 by MamaLamb from Perfect modern fixture that brings it all together We selected this product as it coordinates with the rest of the Dryden plumbing fixtures for our new Master bath and also selected it to coordinate with other Delta fixtures for the other bath suites in our new home. It fits our style- a modern take of art deco styling- I like that it is a squared design without being overly angular. Products are sturdy and the finishes are perfect. We selected the 30" bar because it's nice to be able to let a towel dry without being scrunched. Also, when ever we've stayed at hotels and other homes, there is always a shortage of towel hanging space so we wanted to make sure our guest room would be accommodating. Rated 4 out of 5 by Janet from Dryden wall towel bar While the stainless steel is what I ordered per my designer, I'm not a fan of the way it looks used or tarnished a bit. I'd prefer the satin nickel. Some might like the weathered look and it might fit in with their decor. Fingerprints show. The quality is great, the style is great, the price was right, and it arrived on time. So nothing that is there fault. Rated 5 out of 5 by sideways from great product I purchased the Delta 30" towel bar for my downstairs bathroom. The product was solid with a great finish. I'm very happy with the towel bar. Rated 5 out of 5 by Happy mom from The finish is beautiful and the 30” allows for 2 towels to hang side by side nice complement to the faucet. 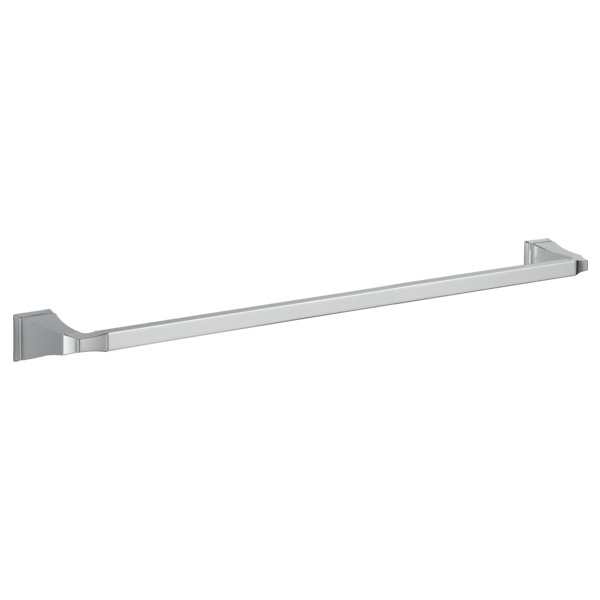 Rated 5 out of 5 by CatheyB from Delta-Delta 75130 Dryden 30" wall Mounted Towel Bar This is the second time we have purchased the Delta Dryden towel bar series. 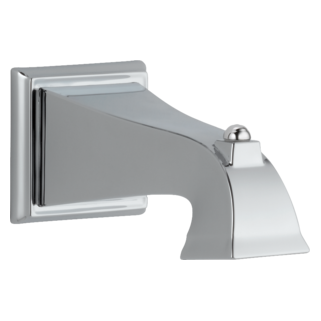 We recently remodeled our second bathroom and knew right away that we would choose the Dryden towel bar series because we had chosen it the year before when doing our first bathroom remodel. 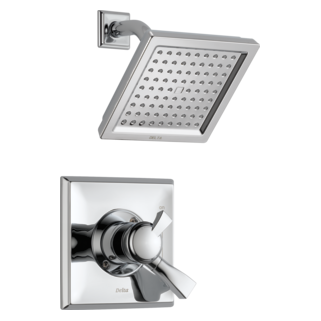 It is sleek & sturdy & matches our new Delta Dryden bath fixtures & faucets. The 30" towel bar is long enough to hold two large bath towels without being crowded. We also ordered other items including smaller towel bars and a very nice tissue holder. We ordered in different finishes for each bathroom. The last bathroom was in Brilliance Stainless Steel and the first bathroom was in the beautiful Brilliance Polished Nickel, which is my favorite. I would recommend this towel bar series. Good value, great quality and the contractor didn't seem to have any issues with the installation. I would like to mount a Dryden 18&quot; chrome towel bar inside our shower for washcloths. It would be on the back side of the shower opposite from the shower head and outside the spray. Would there be any concerns such as rust with this installation? 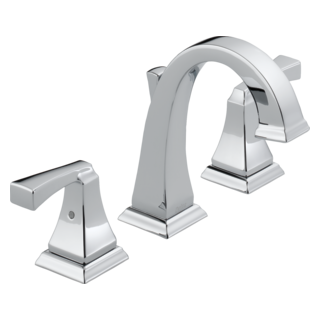 What bath accessory collection would best match a Linden plumbing fixture in Arctic Stainless Finish? I want a 30&quot; towel bar, a 24&quot; towel bar, an 18&quot; towel bar and a tissue bar. Looking for a 30&quot; towel rail in brushed nickel to blend in with my Everly brushed nickel faucets I recently purchased?